Just when you thought pop-ups were sooo 2012, CAP Beauty and Jenni Kayne throw down in LA and suddenly you know you must go. to. there. immediately. If it’s possible to have a crush on a store, we have a big one on NYC’s all-natural CAP Beauty (see their founder’s Green Goddess Guide here and get their vitamin E latte recipe here!). CAP is an East Coast beauty/wellness mecca that really understands that beauty starts from within – we’ve been fans from day one and never make a trip back East without a visit. This November 6 – 12, CAP Beauty is bringing a selection of their top-selling “high vibe beauty” picks to Jenni Kayne‘s impeccable Brentwood Country Mart shop for one of the chicest pop-ups of the season. Shop tried and true favorites from transformational brands like The Beauty Chef, Kypris, EiR, Hannes Dottir and Sun Potion – all Chalkboard favorites – and chat about the life-affirming power of naturals with CAP Beauty’s co-founders. 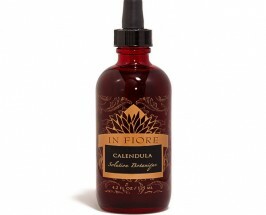 Crafted in Northern California, this serum is just as luxurious as it is potent. Containing 22 of the world’s most active organic and wild botanicals, this blend was formulated to penetrate deeply. Each of the 22 ingredients are not only chosen for their individual capabilities, but for how they work synergistically to ensure every drop of this formula is infused with powerful skin-renewing properties. The CAPtivator contains the secret to everlasting beauty. Love. This energy mist takes you to a place of love and devotion, while increasing your libido. A spray of this lets the good vibes flow. Get ready to be CAPtivated. 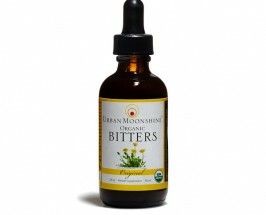 Curb sugar cravings and give your digestive system a boost with Urban Moonshine Bitters. We love taking bitters to balance a healthy appetite, improve liver function and promote clear skin. For extra fun, add them to your favorite classic cocktail for a nutritionally packed punch. We can’t get enough of this oil for its ability to intensely hydrate. 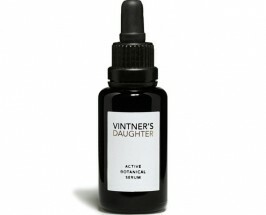 A gorgeous serum that breaks up congestion and promotes elasticity while leaving your skin looking fresh and radiant. Uplifting notes of neroli and chamomile rejuvenate the senses and provide skin with a loving boost of vitamins and minerals. 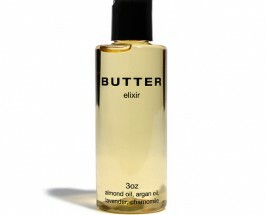 Our favorite product from the cult-fashion-yogi line, Butter Elixir is a thick, sweet and luscious blend that delivers radiant skin. With a base of argan and sweet almond oils, it’s a rich source of omega-3 fatty acids and is packed with skin-loving vitamins and minerals. 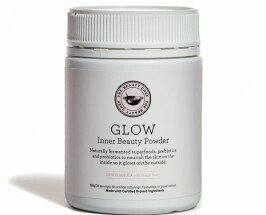 The secret to outer beauty is inner health, and no one knows that better than The Beauty Chef. This cult favorite is packed with 23 powerhouse ingredients that nourish your insides so you can radiate on the outside. Share the post "TCM Shops: 6 Must-Have Items Inside CAP Beauty’s L.A. Pop-Up Shop"
replacements. DL-Phenylalanine or DLPA (amino acid) helps to alleviate pain. Fresh Nettle Juice, in teaspoon doses, slows postpartum bleeding.